We do not accept children under the age of 6 years old. Who are we? We believe in travelling differently. The way we challenge the status quo is by making our products out-of-the ordinary accommodation. The aim is to offer a high service quality in a safe environment at affordable prices to travellers, backpackers and tourists. 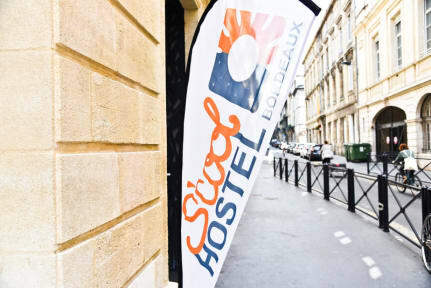 The hostel is ideally located in the centre of Bordeaux and welcomes travellers from all around the world. At S’cool Hostel Bordeaux breakfast is included and served daily. The common room is located on the ground floor, where you can enjoy our fresh breakfast during the morning and relax the rest of the day. The hostel is ideally located in the centre of Bordeaux. The property is located few steps away from Place Gambetta. S’cool Hostel Bordeaux is located in a lively area, perfect for those who want to discover the richness of the city. S’cool Hostel Bordeaux offers comfortable shared rooms up to 4 people. All rooms are equipped with bathroom including shower, sink and toilet. In addition, all rooms have a wardrobe per person (which can be locked with a padlock), a desk and a chair per person. Payment types accepted at this property: credit card and debit card. No 24-hour front desk. Opening time is: from 8 am to 11.30 am. From 4 pm to 8 pm. Nice hotel. Great staff. Great lockers. Nice Hostel,very cool staff,good breakfast but a bit pricy!! This is a very pleasant hostel in Bordeaux. The rooms are spacious and the hostel is very clean. Staff are polite, informative and speak English and French. There is a simple breakfast included and luggage space if you are arriving/leaving before check-in/departure time. My only criticism would be the lack of security for the rooms. Although you need a code to access the hostel after 8pm, it would give extra piece of mind to know your belongings are completely safe in the room. There was minimal security throughout the day at the hostel, but at night there was a code. Breakfast was included (bread, jam, coffee) and the staff were happy to point out what to do and where to go. The rooms were clean and spacious and the beds were ok. The rooms had a bathroom in them which was very convenient. 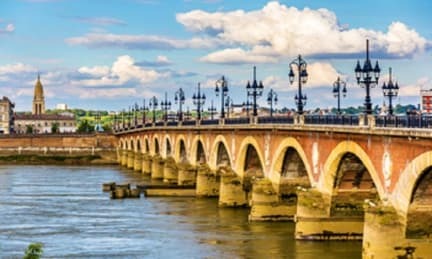 The hostel is located walking distance to most things in Bordeaux. The staff could not have been more friendly and helpful. The place was absolutely spotless. The only negative was that the doors into the dorms couldn't be locked. In spite of this I felt completely safe in the hostel, lovely atmosphere! I really nice hostel close to the train station, which will take you to within a few hundred meters of the hostel itself. No kitchen and you have something to eat for breakfast; toast, tea, & coffee. It was still a great place and I'd be happy to go back. Clean rooms and easy access to the old part of town. Internal facilities were pretty sparse and didn't really have the same sort of shared common spaces I've seen in other hostels. The staff is very helpful and will give you an amazing introduction to the city during the check in. No way to lock the rooms, and breakfast is pretty basic. The street outside can be noisy so I advise to bring earplugs. Big downside is the social part: the only common space is the breakfast room, with a ping pong table not accessible to the guests because it's locked during the rest of the day. Good if you're interested in sightseeing only, but not the place were you can meet other people. On the plus side, clean, plenty of power points in the rooms. On the negative, no drinks available except bottled water sold while reception is open, two sheets only supplied and informed blankets are available if needed, in the rooms, which I did need. They smelled clean but I wonder about the hygiene issue here. The rooms are very noisy both from outside street noise and guests in the corridors. Breakfast is a very choice. Parking is a pr Overall I would have paid extra and stayed in a hotel.